A familiar face in Maricopa High School sports was officially re-hired this week. 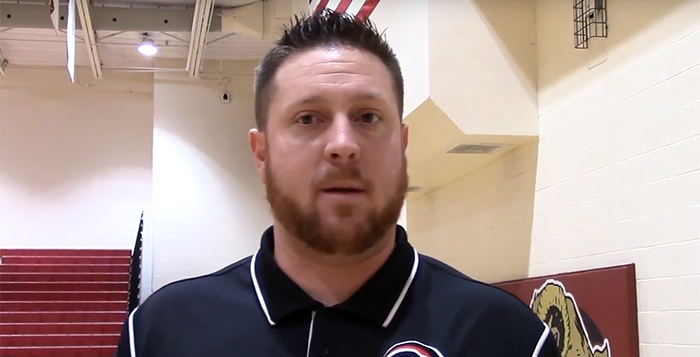 The Maricopa Unified Governing Board approved Jacob Neill as its new district athletic director Feb. 28. Neill previously coached MHS basketball for four years. He left in 2016 when he was hired as assistant principal and athletic director for Poston Butte High School. Becoming an administrator was not just a professional goal, but something that runs in his blood. He’ll soon take the place of Brian Winter, who will be MHS principal next school year. Winter originally hired Neill in 2012. “To come back with Mr. Winter in the principal position is one of the draws back to (MUSD) because he has a vision and I’m excited to get behind him and do what we need to do to improve Maricopa High School,” Neill said. Some of the new AD’s responsibilities will include overseeing sports programs at the junior high level and ensuring the high school’s “facilities are on par with what other 5A and 6A schools are to make our students’ experience as good as it possibly can be,” he said. Neill lives in Laveen with his wife Jess – a fourth-grade teacher – and their 3-year-old daughter Izzy.